SOLUKHUMBU, May 18: In a bid to manage the waste materials dumped by climbers in the Everest region, the government has made it mandatory for each climber to collect and bring back with them at least eight kg of waste to the Everest Base Camp. The government in coordination with the Sagarmatha Pollution Control Committee (SPCC) has enforced the rule to manage garbage in the Everest region. The rule applies to both domestic and foreign climbers as well as their helpers, including the cooks and guides, and is in effect since 2016. The garbage brought to the Base Camp must include oxygen cylinders and other materials taken by the climbers. The rule was first introduced in 2013 but it was discontinued for two years after the deadly 2014 Everest avalanche, and was resumed from 2016. According to the committee, 23 employees of the committee have been sent to the Everest Base Camp. They are responsible for managing the garbage brought to the Base Camp by the climbers. 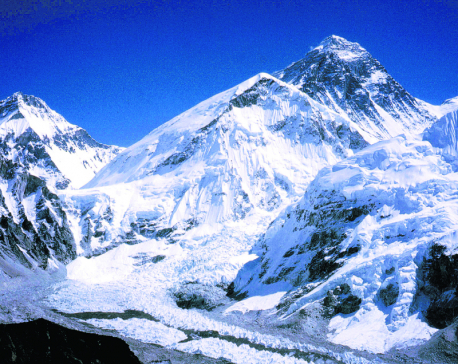 Climbers of Mt Everest, Mt Lhotse and Mt Nuptse mountains all use the Everest Base Camp. So the rule is applicable to climbers of all the three mountains, informed Kapindra Rai, program officer of SPCC. “If everyone strictly abides by the rule, we can make the Everest region free of pollution within a few years,” said Rai. 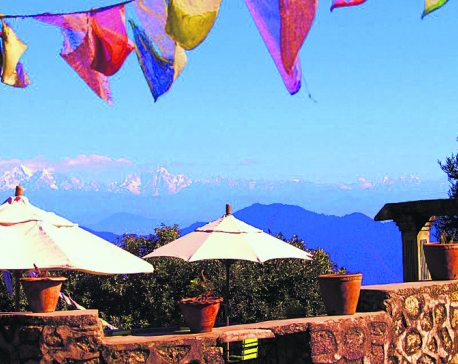 Tourism entrepreneurs have been expressing their concerns over the increasing pollution in the Everest region. Kitab Singh Tamang, a Nepali climber, said tourism entrepreneurs are becoming deeply concerned with the rising pollution level in the country’s famed trekking destination. “Garbage can be found everywhere in the region. Iron rods, bottles and other waste materials are common sight on the way to the Everest summit,” he said. The waste materials from the Everest region have been categorized into three types: incinerable, recyclable and waste material needing repatriation. Incinerable waste is destroyed at the Base Camp itself, while recyclable waste and materials needing repatriation are flown to Kathmandu from Namche Bazaar. Before a climber heads for the mountains, authorities record the type of goods he/she is carrying. Later if the climber fails to bring back the garbage, his/her security deposit is confiscated.